Thomas Arvid possesses an unerring ability to refine a moment. 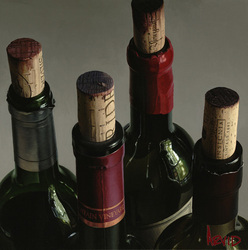 In doing so, he captures our wonder and has become an art world phenomenon. 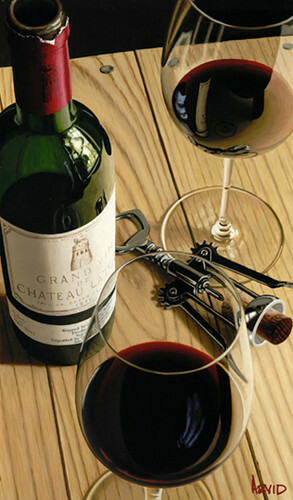 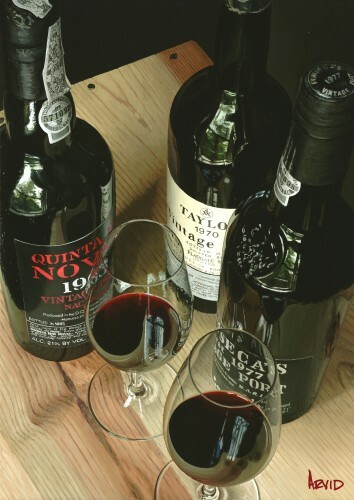 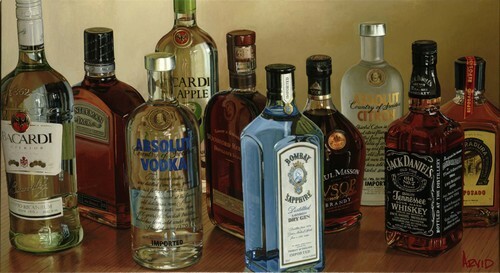 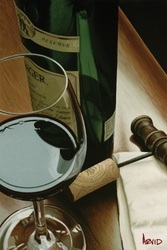 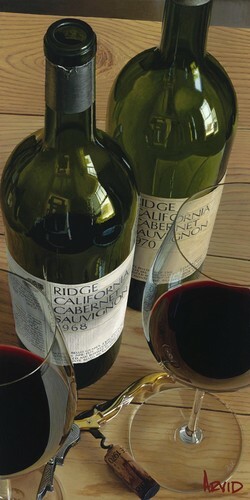 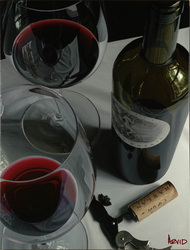 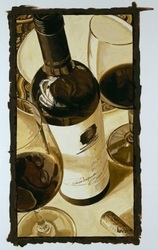 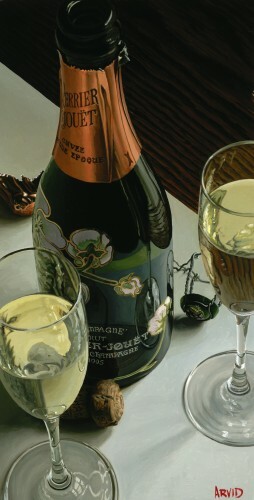 Art Business News (May 2003) credits him with "launching a major art trend with his oversized still life compositions of wine and the rituals surrounding its consumption". 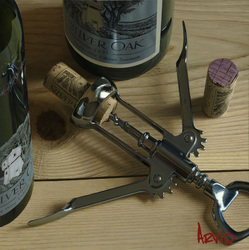 Arvid's images astound viewers with their intricate details and his mastery of light, depth, and reflection. The magic of Thomas Arvid's painting is in his ability to visualize and chronicle an entire scene beyond the frame - to tell a story of enjoyment and the good life - using lush color and adroit composition. 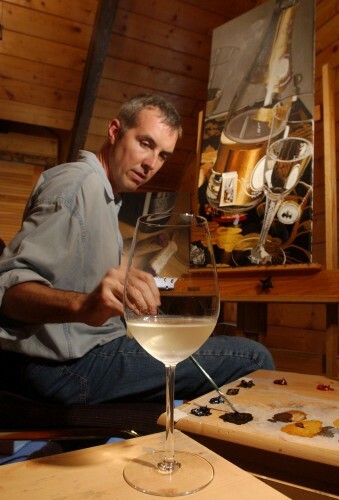 Thomas Arvid is passionate about art and wine. A collector of both, he strives to capture the pleasure of a life-well-lived on each canvas. 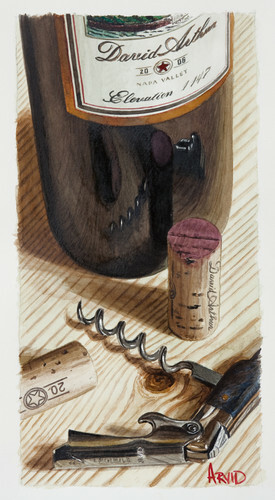 embodiment of the casual way that we enjoy wine today. 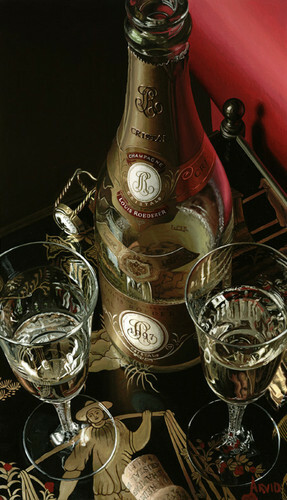 He is an appealing role model for a lifestyle of easy elegance and unpretentious charm. 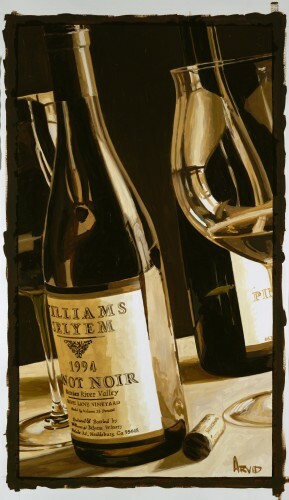 Arvid's approach to wine and painting is surprising, given his background as a Detroit native raised to parlay his inherent artistic talent into a secure job in the industrial complex. 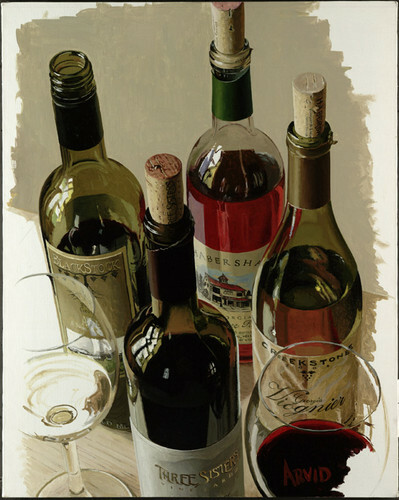 Arvid made the leap into pursuing his art as a career with the support of his art historian girlfriend and inspiration garnered during a backpacking trip through Europe after which he began painting full time. 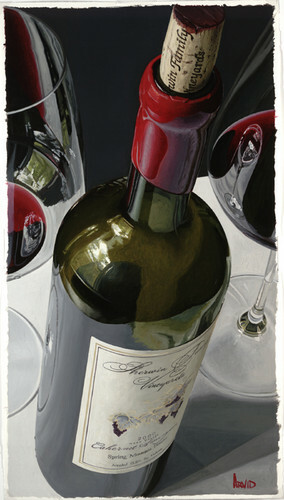 Drawn to wine by his focus on the color red, Thomas Arvid knew he had discovered something when his paintings featuring red wine were being purchased before they were even finished. 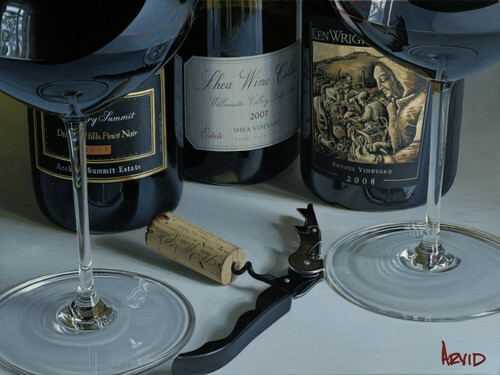 Arvid himself has been awed by the response to his work, "Wine is a great subject because people are familiar with it; they really connect to it. 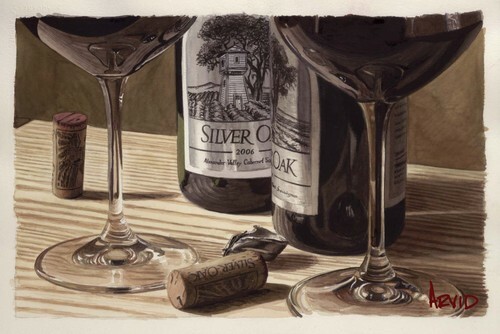 My paintings speak to the special moments that people share when they share wine - it's amazing that my collectors find a personal fulfillment in my work, especially when I'm just doing what I love." 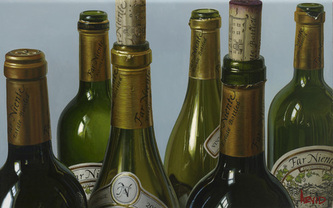 The aura surrounding Arvid's work is palpable. 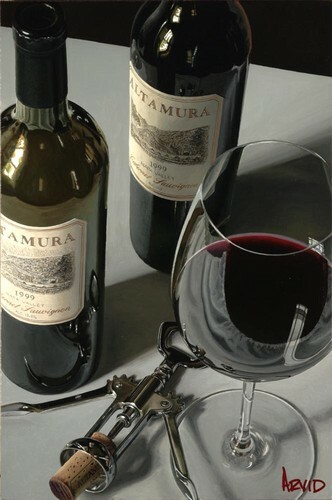 His international appeal has created such demand that his work is represented by over 50 elite art galleries in the US, Canada, and Japan, and collectors are willing to wait years for one of his originals. 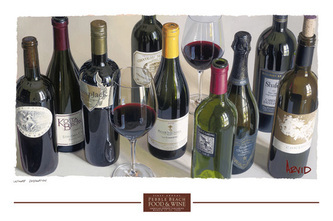 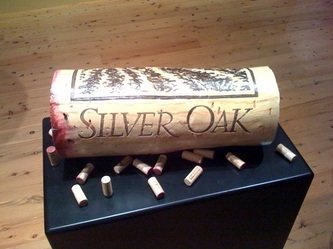 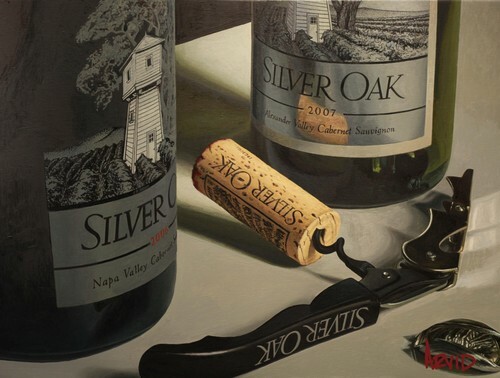 Influential wineries such as Silver Oak Cellars, and Diamond Creek Winery collect Arvid's because he translates the craftsmanship of wine to canvas. Doug Shafer, of Shafer Family Vineyards, likens Arvid's skill to that of a winemaker, "Arvid's style is big and bold, with enough selected detail and softness to create a sense of balance...this blend of elements is precisely what winemakers hope to bring to their top vintages. 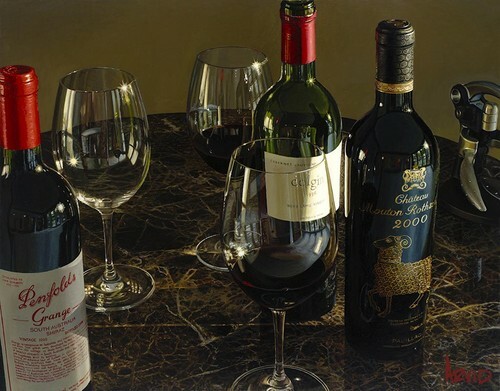 Today, Thomas Arvid and his wife, Vanessa, head Thomas Arvid Fine Art, Inc. one of the most successful boutique art publishing companies in the country. 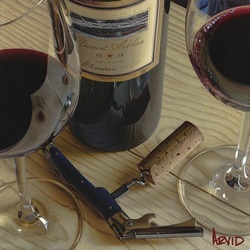 Founded in 2000, the company distributes Arvid's limited editions and originals across the country and the world, and released a retrospective of Arvid's work in November 2004. "Arvid: Redefining the Modern Still Life" traces the development of Arvid's style from its beginnings a decade ago to the lifestyle it is today. The book is a fitting chronicle to illustrate one of Arvid's favorite phrases, "Life without art is like dinner without wine. Why bother?"